God in allegory. Even though I’m an allegorical writer myself, I often have issues with this one. Well, maybe not issues. Let’s just say I approach it carefully. God is sovereign. God is almighty and all-knowing. His ways are not our ways. How, then, can any writer really do Him justice in an allegory? We seek to know Him, but we’ll never know Him completely. Not on this side of death, anyway. If we did, He wouldn’t be God, right? But if we don’t understand Him, how can we write about Him in a way that will satisfy readers who want to see Him in all His wonderful, awe-inspiring glory? I don’t have a cut and dried answer for this, really. I only know what I prefer when I read allegory, and the rules I personally follow when I write God into an allegorical story of my own. An allegorical representation of God should be as mysterious as the true God. So we don’t understand all the facets of this God-character we write about. So our readers don’t. That’s ok. Use the mystery to good effect. Let the unknown deepen the reader’s experience of this God whose ways are not ours, and thus deepen their awe of Him. Large or tiny. Roaring or whispering. God is anything but a lukewarm, mediocre Being. C.S. 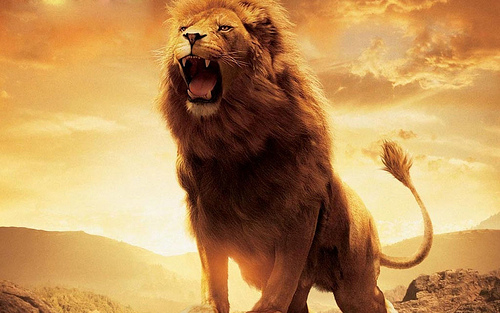 Lewis uses a great lion to represent God in his Chronicles of Narnia. In one scene of my book I represented God as a field mouse, whispering encouraging directions in the ear of the protagonist before a battle. Anne Elisabeth Stengl represents the holy spirit with a wood thrush, which I absolutely love. Whether it be intriguing, awe-inspiring, or even quirky, the character a writer chooses to represent God has to be worthy of the reader’s attention and respect. God is to be feared. We fear His wrath, His judgment, His anger when we have chosen to disregard His Word. But take away that fear and you’re left with little love and no respect at all. That’s not a the type of ruler I’d want to follow. Whatever creature or person a writer chooses to use as her representation of God within her story, it should be one whose actions and power inspire a healthy fear. God has the power over life and death and time and all the earth. Fiction shouldn’t show Him as anything less. Yet beyond the fear, a writer must be sure to show the deep and unconditional love God has for His creation. Fear alone can perhaps turn our heads and keep in our minds what will happen if we stray. But it’s love that binds us to Him, heart and soul. It’s God’s mercy and forgiveness and sacrifice that give us the passion to follow Him to the ends of the earth. So why should an allegorical God be any different? Do you have any preferences when reading Christian allegory? What are the things you like to see in a symbolic fictional God figure? Christ Himself used inventive anthropomorphisms to describe God. He is so much beyond us that these really help us to understand. Of course, we have Jesus too. What better way is there to see and understand God but to look into His face? Yet even that takes imagination! Like you said, God will always be mysterious and extreme, but we have a unlimited array of images to use in trying to understand Him. 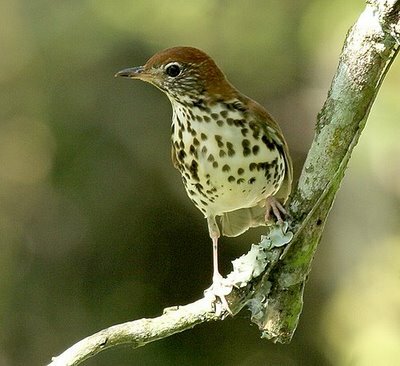 The wood thrush features in all of the Tales of Goldstone Wood books. He is there calling the characters to follow him, he shows them the right path, sometimes literally, and he offers hope in the most dire situations. But there is a Christ figure there as well, who goes by many names and sometimes appears in different forms, such as a human and a golden hound (which plays nicely when one of the main characters is a cat). Ashlee, I like your insight. I enjoy allegories, but it is certainly important to make the God figure in the story have the same characteristics as the God we are comparing him to. Otherwise, what is the point? Loved, loved this! 🙂 Especially the part about “extremism.” You hit the nail on the head. Also: Sometimes in allegorical writing (and I’m going to use Tolkein as an example, even though he claimed that he didn’t write allegory! 🙂 He’s dead, after all, and can’t protest. ), we can represent different facets of God through different characters… For example, in LOTR, both Aragorn and Frodo allegorize different aspects of Jesus, both in the same story, though neither of them can be said to BE Jesus in that world, as other aspects of their characters are not similar to the Christ. I think L’Engle talks about there being a difference between allegory that says a character/thing is LIKE something, compared to allegory that says a character/thing IS something. I love that you mentioned this! You are absolutely right. Different characters can represent different facets of God and His characteristics. Great point!